While we may well still be in the midst of winter, it’s not going to be all too long before the weather begins to take a turn for the better and the temperature begins to rise. As the sun starts to shine, many of us want to spend increasing amounts of time lounging in our backyards. The problem? Well, the majority of us tend to neglect our outdoor spaces throughout the winter months. Who can blame us? Nobody wants to spend their days digging around in wet dirt with frosty fingers when they could be cuddled up all cozy in front of the television with a hot drink. But this generally means that the majority of our gardens are in a sad state of affairs when the time comes around to actually spend time in them. But not to worry. There are steps that you can take to repair the damage and create a comfortable and appealing outdoor space ready for the Spring months. You just have to get started sooner rather than later! Here are a few things to get started on! You may feel at a loss as to where to start when it comes to repairing winter damage. But don’t let that put you off. These simple steps can help to transform your backyard into a fresh blank canvas that you can work with! Strim the grass – if grass is overgrown take to it with a strimmer to chop down the main bulk of its length. Rake the long grass and dispose of it properly. 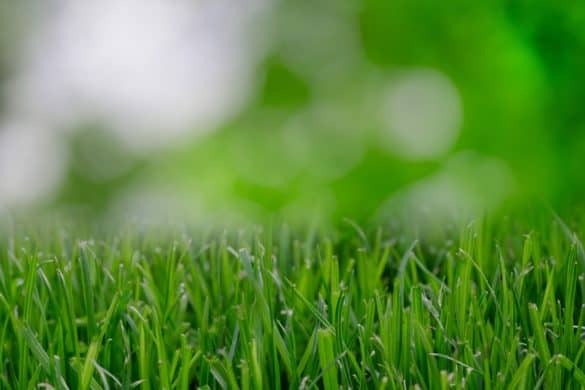 Mow the lawn – once the grass is at a manageable length, you won’t have to worry about it blocking up your mower. You can run across it to get a nice, even finish. Pull weeds – weeds establish themselves pretty quickly, so there are probably a fair few about. But have patience. Pull them properly, ensuring that you get the root. You might also want to apply a weed killer to the area to prevent regrowth. Once you have a clear space, you can start focusing on making your garden look truly appealing. Consider installing some sort of water feature. While they may seem complex to set up, once everything is up and running, you’ll have a beautiful visual attraction out back. The sound of running water can also be extremely soothing when you’re spending time outdoors. If this is something that interests you, you can find out here. If you want your garden to flourish and feel full of life in the Spring, consider attracting a little local wildlife. You’ll create your own natural haven! Leave bird seed in feeders and plant flowers that attract bees and butterflies. As you can see, there are various things that you can do to make your garden ready for Spring. You’re bound to want to spend more time outdoors when the weather improves, so save yourself the hassle down the line by taking action now!